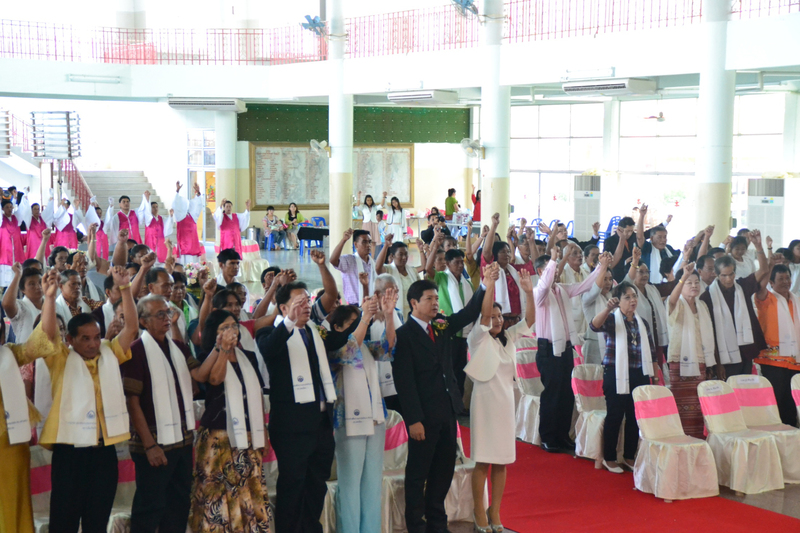 FFWPU Thailand, July 3rd 2015: Mr. Raweetheewat Srisuthisa-ard’s family and Mrs. Sirisorn Rodriguez’s family, Thai-Filipinos’ family are working hard to fulfill the mission of Tribal Messiah in Sing Buri province in the north of Bangkok for 2 hours by car. 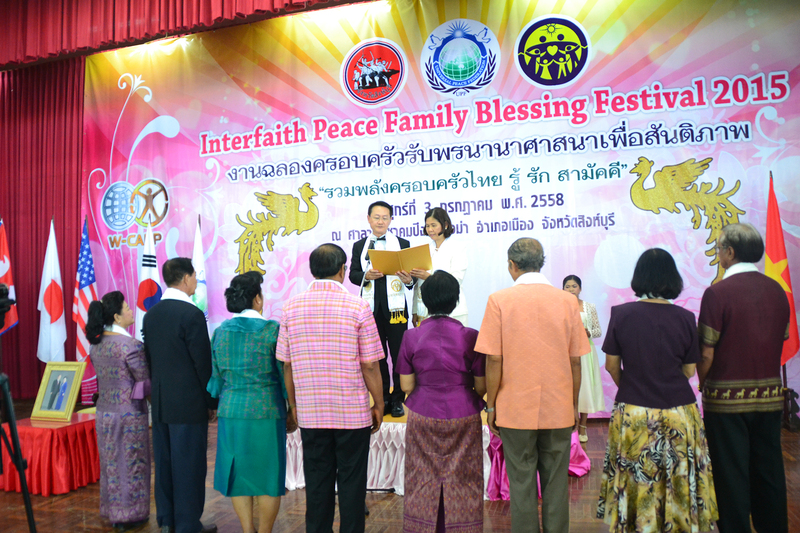 The development of Interfaith Peace Blessing Festival in this province come from the signing of MOU between Singburi Provincial Governor and UPF Thailand during 77 Provinces Peace Seminar Tour on November 2014. 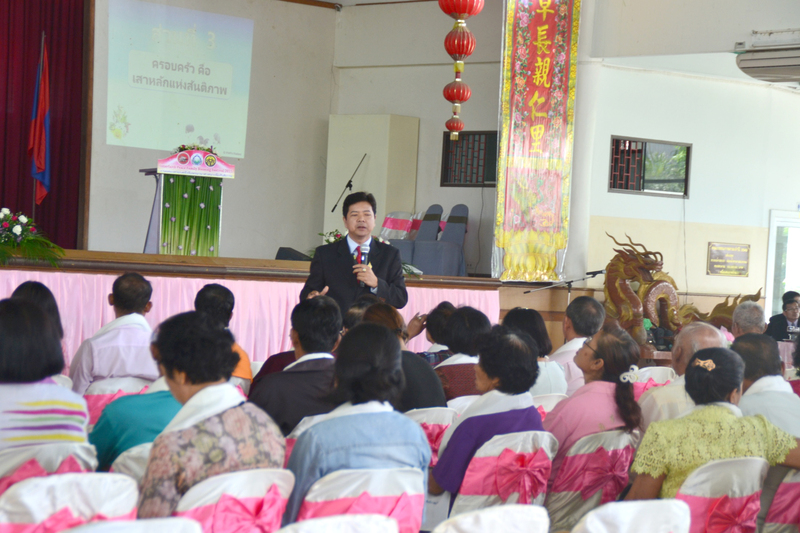 Mrs. Sirisorn continued to follow up and hold seminar in all 8 districts of Singburi province. 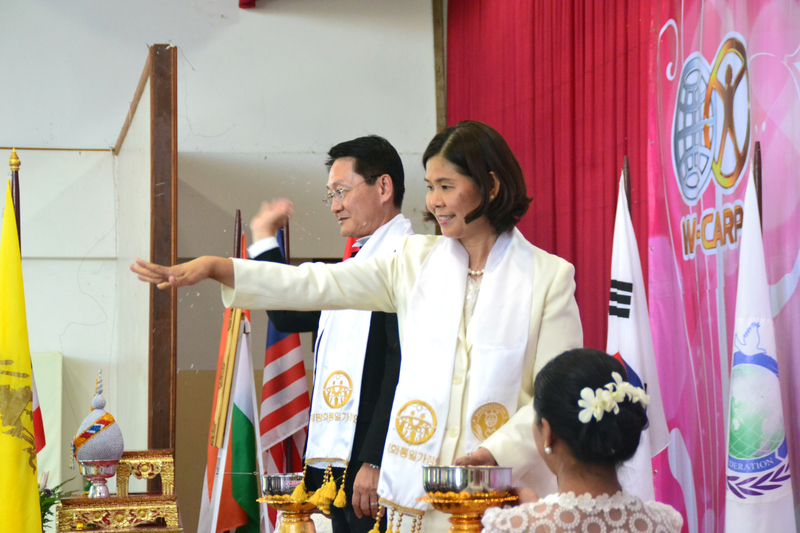 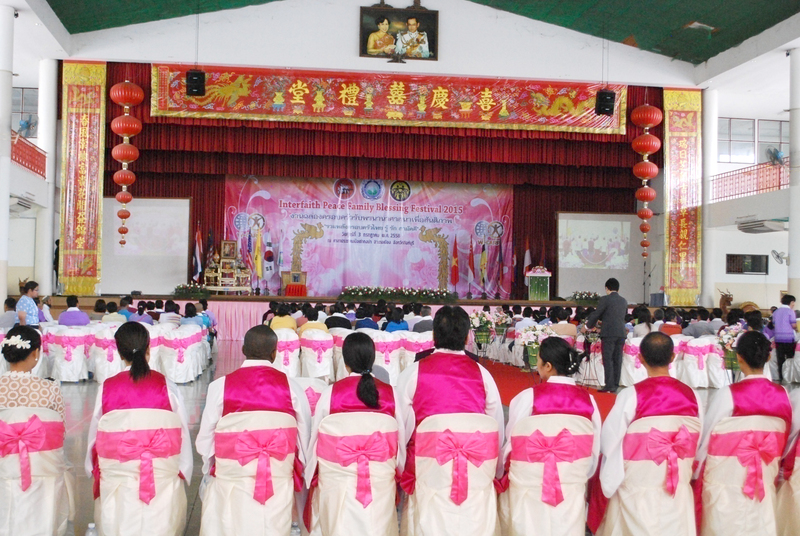 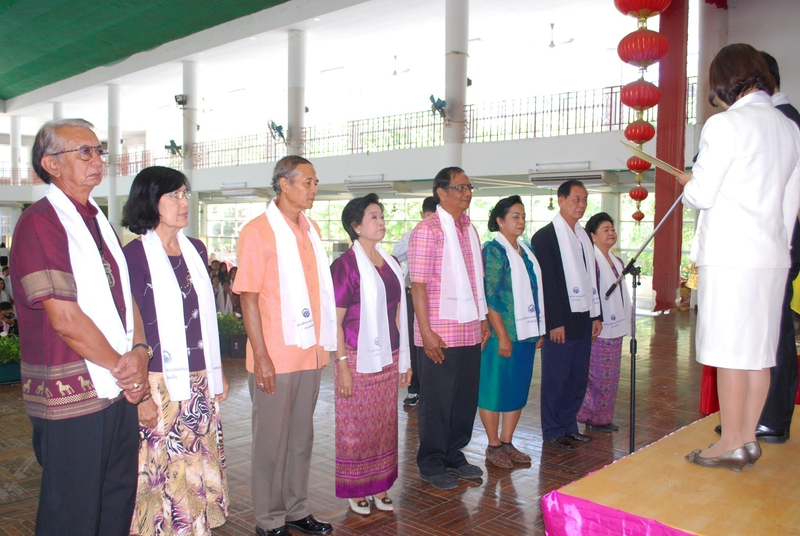 With co-operation and support of Vice Governor and Director of Social Development and Human Security of Singburi, the Blessing were held at Auditorium of Chinese Folk temple “Peung Tao Kong Ma”. 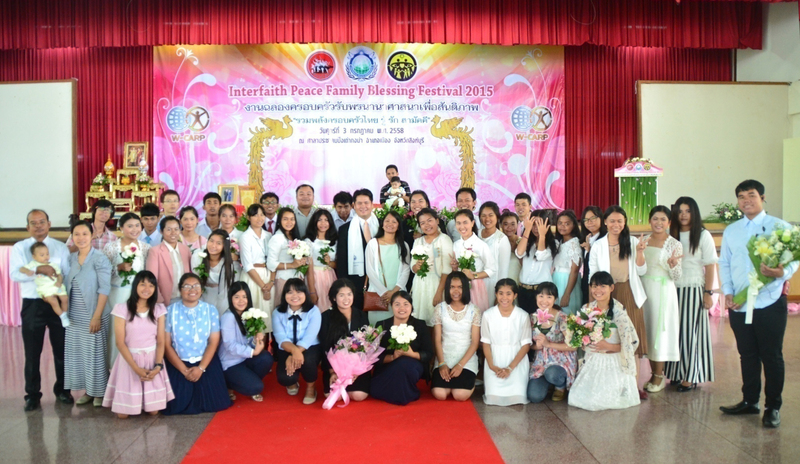 There are 94 families join.